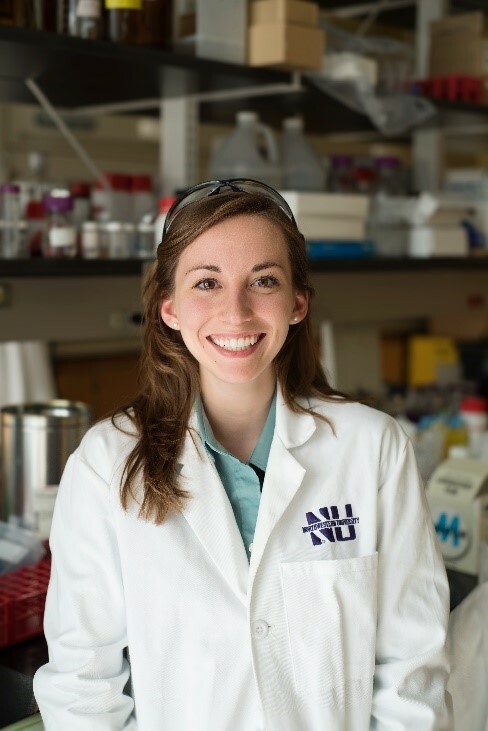 The NUANCE Center actively participates in outreach and educational programs, through collaborative and individual research, internationally and within the Northwestern University community. Our programs are well-known for the development of an outstanding, well-trained and highly informed undergraduate, graduate and postdoctoral workforce in nanoscience and nanotechnology. Local teachers, museums and members of the community are encouraged to join the NUANCE family through open house visits and demonstrations. NUANCE honored Women in History Month this March 2019 by recognizing female students who are sure to make a big impact on the field of studying tiny things! Read more about our Women in Nano and their challenges, goals and inspirations! More than 100 new NU users have been trained on the use of NUANCE instruments in the last 12 months. Benjamin D. Myers, Qing-Yuan Lin, Huanxin Wu, Erik Luijten, Chad A. Mirkin, and Vinayak P. Dravid. "Size-Selective Nanoparticle Assembly on Substrates by DNA Density Patterning." ACS nano (2016). Emily L. Que ORC, Francesca E. Duncan, Amanda R. Bayer, Steven J. Philips, Eric W. Roth, Reiner Bleher, Sophie C. Gleber, Stefan Vogt, Teresa K. Woodruff, and Thomas V. O’Halloran. "Zinc sparks induce physiochemical changes in the egg zona pellucida that prevent polyspermy." Integr Biol (Camb) 9(2)(2017): 135-144 (2017). Nicolás A. Grosso-Giordano, Todd R. Eaton, Zhenyu Bo, Sara Yacob, Chieh-Chao Yang, and Justin M. Notestein. "Silica support modifications to enhance Pd-catalyzed deoxygenation of stearic acid." Applied Catalysis B: Environmental 192 (2016): 93-100. 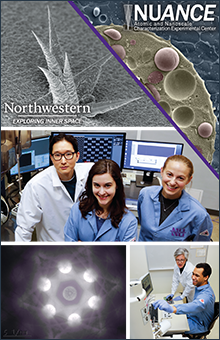 This spring, NUANCE & SHyNE along with MRSEC and Northwestern University hosted the Midwest Microscopy & Microanalysis Society's Annual Spring Meeting on March 28, 2019. This yearly event brings professionals, academics and vendors together from all across the country. The theme was "Microscopy at the Interface of Materials and Biology", and M3S was honored to have Dr. John Mansfield present the keynote lecture on "The ESEM as invaluable tool in cultural heritage studies". In 2019, images generated from NUANCE and SHyNE facilities were featured in a new exhibit about materials science at the Harold Washington Library. The exhibit, titled Materials Science, also features an Atomic Probe Field-Ion Microscope, which first allowed scientists to see down to molecular and atomic levels. The exhibit serves as an introduction to the field of materials science, with the goal of teaching visitors more about the different materials they interact with on a daily basis. In March 2019, the BioCryo facility hosted a mPrep ASP-1000 workshop, where attendees listened to talk by Thomas Strader of Microscopy Innovations. The talk was followed by a hands on demonstration of the equipment in the BioCryo lab facility.